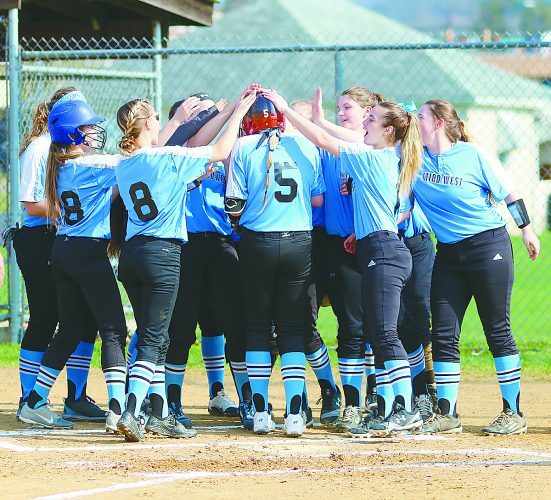 COVE — The trio of Thea Neimond, Hailey Swartz and Leah Sankey led the way for East Juniata in its 10-0 win over Susquenita in a Tri-Valley League girls soccer game Thursday. Neimond scored a hat trick plus an assist while Swartz had two goals and collected two assists in the game. Sankey drove in two goals for the Tigers. The Tigers (2-0, 2-0) travels to Line Mountain Monday. EJ — Paige Crissman (Hailey Swartz), 6:05; EJ — Leah Sankey, 9:18; EJ — Sankey, 11:33; EJ — Maddison McDonald (Thea Neimond), 15:30; Swartz, 17:05. EJ — Neimond (Swartz), 56:49; EJ — Neimond, 64:25; EJ — Neimond, 71:17; EJ — Alyssa Hibbs, 72:45; Swartz, 75:29. HARRISBURG — Mifflin County came up on the losing end of a 1-0 Mid-Penn Conference girls soccer game Thursday evening at Central Dauphin East. Emily Walker scored the lone goal of the game in the 18th minute for the Panthers. The Huskies’ Allyssa Schnell had six saves in the contest. 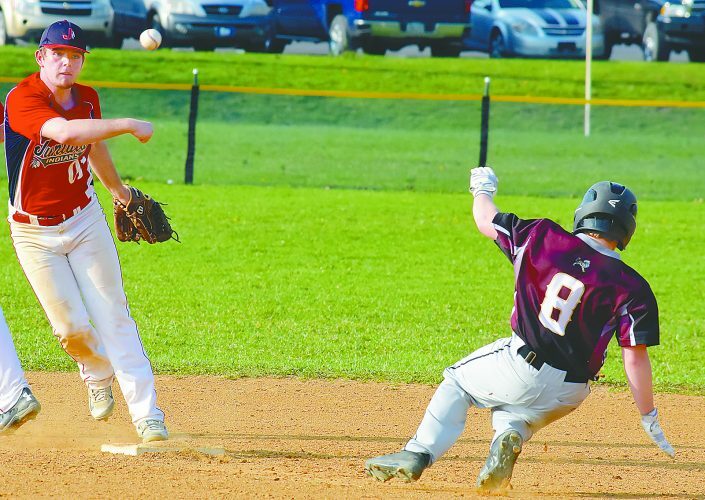 Mifflin County hosts Altoona Saturday. Shots: CDE 7-3. Saves: MC-6 (Allyssa Schnell); CDE-3 (Kayla Proch). MONTOURSVILLE — A huge surge of offense in the second half led by Carter Knepp powered Midd-West past Montoursville 6-0 in a Heartland Athletic Conference boys soccer game on Thursday. Knepp scored the first goal of the game just under a minute into the contest, the only goal of the first half, then added two more in the second half to complete the hat trick. Evan Eppley also had two goals for the Mustangs. The Mustangs won the JV game 3-0. Midd-West (2-0, 2-0) hosts Benton on Saturday. MW — Carter Knepp (Chase Strohecker), 0:47. MW — Evan Eppley, 40:47; MW — Eppley (Knepp), 42:38; Dominc Abate (Canyon Zeigler), 65:07; MW — Knepp (Angus Strohecker), 67:50; MW — Knepp (Brandon Hartley), 73:15. Shots: MW 16-2. Corners: MW 6-1. Saves: MW-1 (Chase Roush), M-10 (Zach Baylor). MIDDLEBURG — The Midd-West defense held Danville in check in its 7-0 win in a Heartland Conference field hockey game on Thursday. The Mustangs kept goalkeeper Aleah Gemberling relaxed in the net as she faced only two shots on goal. On the offensive side Midd-West was led by Brenna Brown with two goals in the game. Lynsey Fultz, Alexia Griffith, Marlo Spriggle, Molly Sellers and Sydney Keister each had a goal. Midd-West (2-0, 2-0) travels to Shikellamy Monday. MW – Sydney Keister (Haley Stahl, Jaylynn Blair), 23:58; MW — Brenna Brown (Stahl), 6:13; MW — Alexia Griffith (Karissa Landis, Marlo Spriggle), 0:11. MW — Molly Seller, 17:45; MW — Spriggle, 13:39; MW — Brown, 7:13; Lynsey Fultz, 0:30. Shots: MW 28-2. Corners: MW 28-1. Saves: MW-2 (Aleah Gremberling), D-21 (Katie Miller). MOUNT UNION –After splitting the first two sets, Mount Union worked its way past Moshannon Valley for a 3-1 Inter-County Conference volleyball win over Moshannon Valley Thursday night. Camille Posey accounted for five aces and combined with Madison Harris for 10 kills for the Trojans while Kaidyn Crisswell had 20 service points and 12 assists. Despite the good opening week, Mount Union coach Tessa McCormick sees room for growth. Mount Union (2-0) travels to Huntingdon Monday. 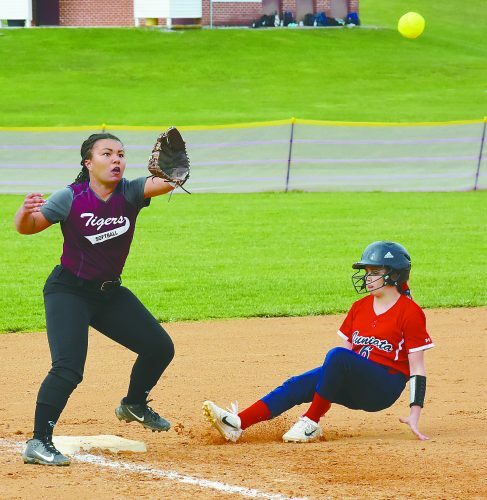 CARLISLE — In what Mifflin County coach Glenn Kyle called a “bizarre ending,” Mifflin County lost to Carlisle, 3-0, in Mid-Penn tennis Thursday afternoon. The match was called due to rain so Amanda Foltz’ and Alexis Maxwell’s singles matches were not finished. At that point, Carlisle had the three victories it needed to win the match. Kylee Rishel and Jaylynn Yoder won two games in the second set of No. 2 doubles. Mifflin County (0-7) travels to Central Mountain for a tournament with Altoona and Indiana, Pennsylvania, on Tuesday. MECHANICSBURG — Mifflin County had a tough go with things in a golf match that was called after seven holes due to inclement weather Thursday. The Huskies finished sixth out of six teams with a team score of 161. Bryan Chilson and Adam Sheetz each shot a team-best 38 for Mifflin County with Cole Chilson (39) and Kolbi Knode (46) rounding out the team scoring. Mifflin County (0-20) travels to Cedar Cliff Monday. 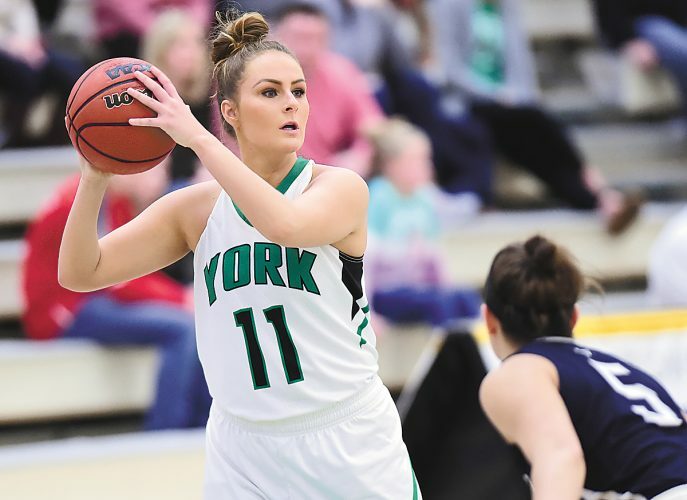 A lightning storm that passed through the area caused postponements, suspensions and early ends to several high school sports events Thursday. Mifflin County’s golf and tennis matches are official despite ending early. The Huskies’ boys soccer team and East Juniata’s golf match both started but were stopped by weather and will be completed at a later date. Postponed were East Juniata boys soccer, Juniata girls soccer and Mount Union cross country.